It is a wise person who reaches out for support to help work through present challenges and leave behind old limitations. With skilled support to develop our strengths, deepen our understanding, and free us from negative effects of the past, we can then begin to experience the very best version of ourselves and our lives. You may be struggling with anxiety, depression, and anger or feel stuck in unwanted habits. You may be feeling the effects of old trauma that keep you locked in cycles of the past: trauma that needs to be integrated and put to rest. The first essential step is self-acceptance and self-compassion (there are very good reasons why you are struggling now and have struggled in the past). Then, through understanding, mindful attention, and strengthening your own inner positive resources, you will find that your issues begin to naturally dissolve and resolve. I help my clients meet what is blocking them from being who they know they are or can be and support them in creating the life that they really want and deserve. Each one of us is precious, valuable, and has within, our own innate wisdom. We will create a safe and healing space that will allow this wisdom to arise as we discover, meet, and explore limiting and negative beliefs, repressed emotions, and rejected parts of your own self. 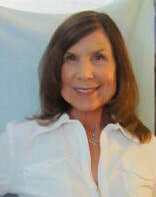 I am a Licensed Professional Counselor and a Certified Clinical Hypnotherapist. I have worked with adults and young adults dealing with anxiety, trauma/PTSD, depression, and those in recovery from addictive behaviors. My professional studies and therapeutic techniques include, mindfulness, somatic, cognitive-behavioral, psychodynamic, creative visualization/hypnotherapy, and transpersonal. I have also been a practitioner of mindfulness meditation for over 30 years. I would be honored to walk a ways with you down your path of healing and becoming. - MA in Counseling Psychology from J. F. K University in Campbell CA.